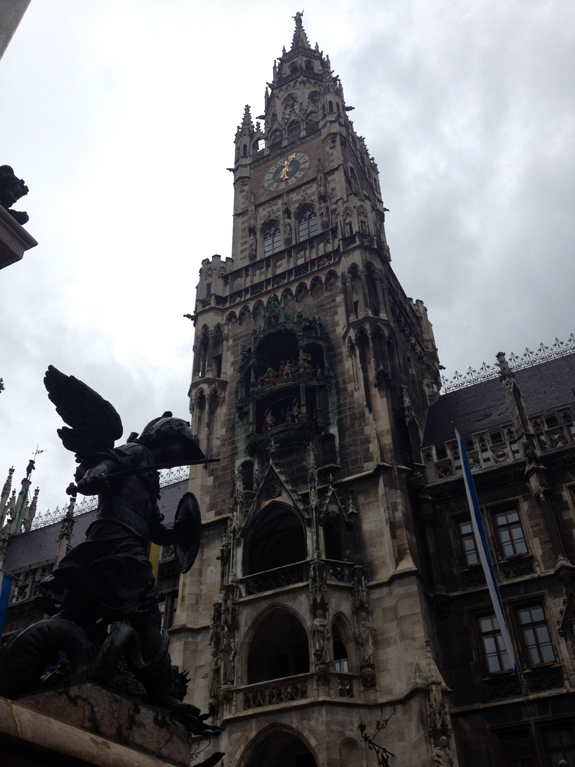 Munich is Germany's third largest city and the largest city of the state of Bavaria. The city is covered with beautiful greenery with lots of great attractions and famous beer gardens, which are all worth visiting. 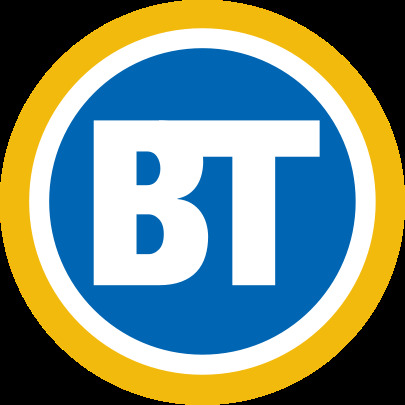 Whether you love cars or not, this is a must see! 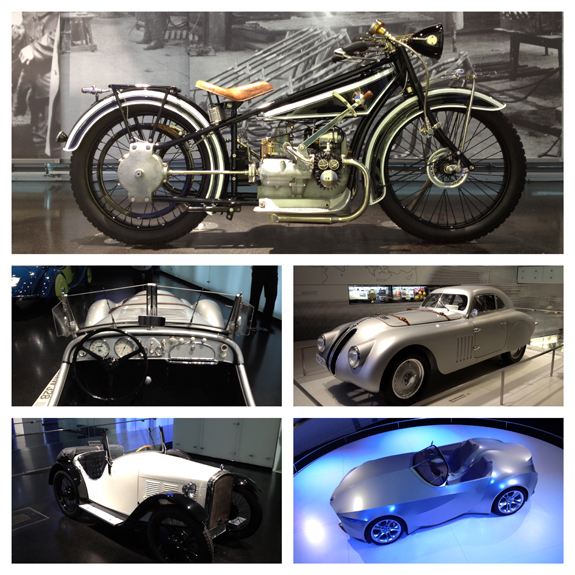 You are taken to the beginning of BMW to its present and shown behind the scenes of how this brand came to be. You are able to sit in loads of today's hottest and fastest BMW cars as well as their motorcycles. 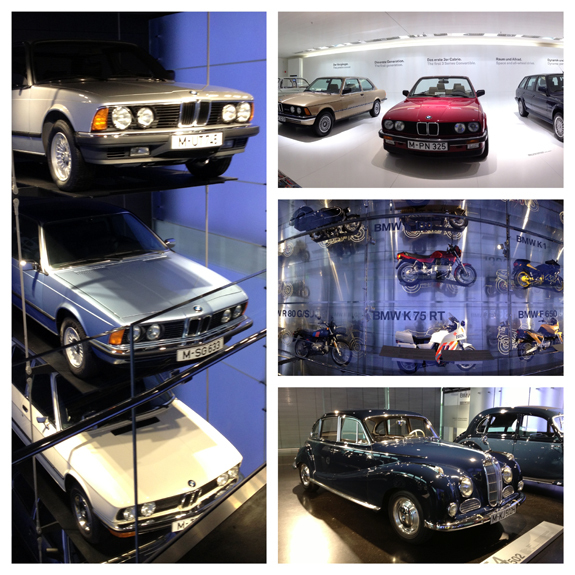 The BMW museum is like a toy land for grown ups! They even have a section for Mini Coopers and Rolls-Royce! 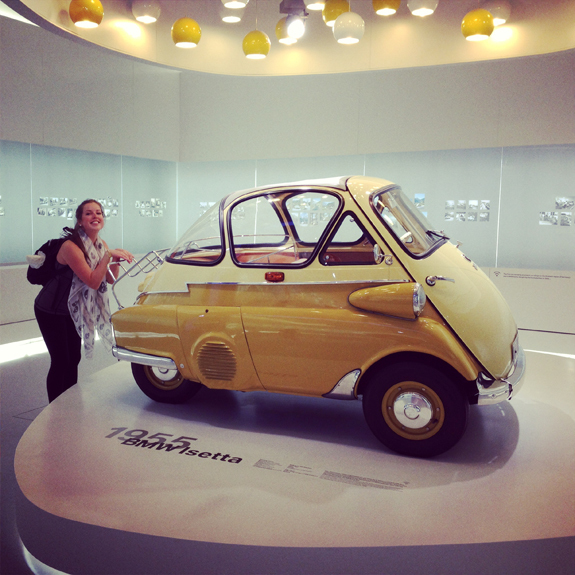 This 1955 BMW Isetta was my favourite car in the museum! We arrived in Munich in the evening and naturally, were hungry for some food and beer. 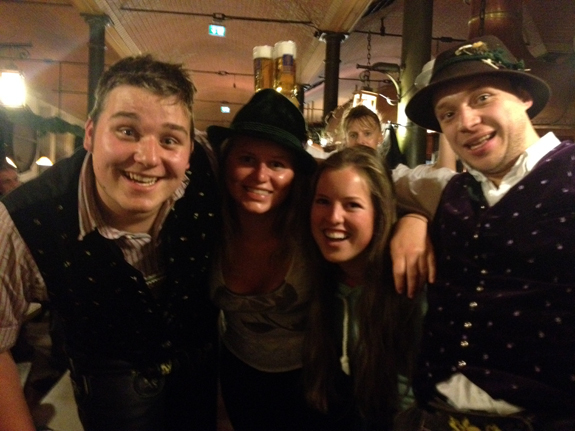 The hostel we were staying at recommended Augustiner beer hall just down the road which ended up being tons of fun! It felt like we were walking right into the Bavarian stereotype. Lots of Germans were wearing Leserhosens, singing and drinking big steins of beer. 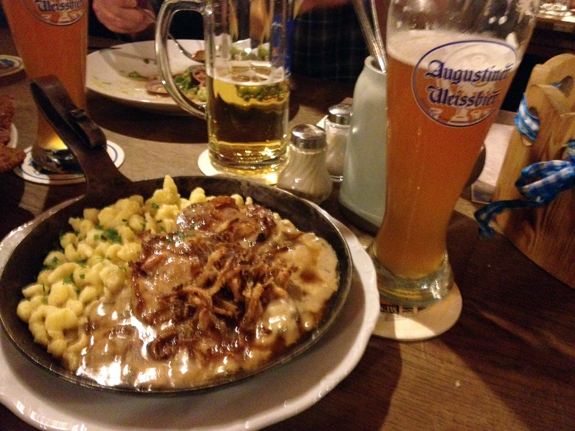 Of course, we had a delicious German meal - schnitzel, spletzlah and beer! We had such a great time trying to speak with the Bavarians who have a thick accent and don't understand English very well. They were pleasantly charming and made for a fabulous first night in Munich. 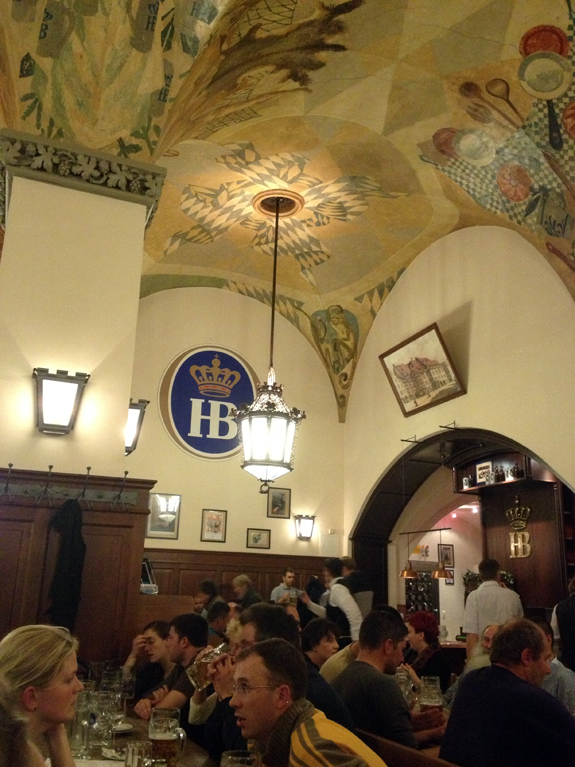 This world famous beer hall is where Hitler first spoke publicly and came to be where the Nazis held functions. Today it is a bumping place with singing and laughter as the beer flows in and out of the hall and a great spot to get traditional German food. Coming here was unlike any other place - it was an experience on its own. * Fun Fact: The Hofbrauhaus runs the second largest beer tent during Oktoberfest! This stunning building in the middle of Munich used to be the royal palace of the Bavarian monachs. Today they have opened their doors to the public so we can experience first hand the glitz and glamor of what it would be like to live here in the early 1300's. You are able to walk the grounds of the 10 courtyards and 130 exquisite rooms. 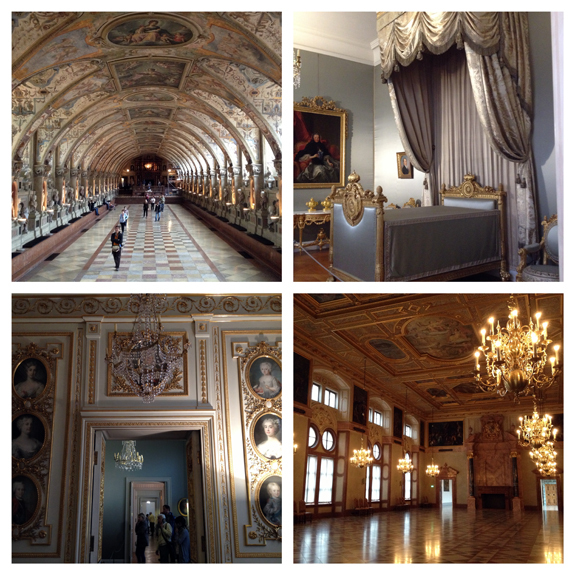 The detail on the walls, ceiling, floors, drapery, lighting, jewels, etc was truly like walking right into the past where people lived in utter luxury! Come join heaps of tourists and fellow people of Munich daily at 11am to see the figures in the Glockenspiel dance around and play a tune in the center of the city in Marienplatz. You will see scenes of horses and brave men jousting, people dancing and a royal wedding which are all part of Munichs history. This glorious daily tradition lasts about 15 minutes. 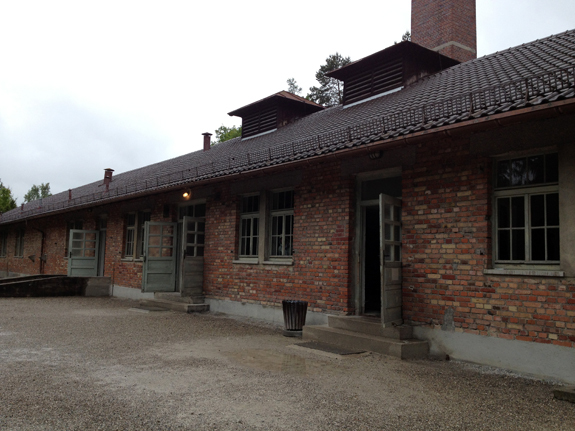 We visited the first Nazi concentration camp called Dachau which was built in March 1933 as a prototype model for other Nazi concentration camps. The site is very overwhelming and I'm sure like most people when they visited, were not prepared for what they were about to see. We were taken back to a time that doesn't make sense. The reasonings behind why the Nazis did what they did is so beyond awful it was hard to understand. The entire camp was kept spotless and if it wasn't, you paid the price. Each person was sectioned off into groups and if one person was out of line for example not making their bed perfectly or having dirt under their nails, the whole group was punished. Punishments ranged from being beaten, breaking limbs or being hung by the hands from behind so your shoulders snapped. These were done in areas where other prisoners could see and hear the victums as a warning. While walking through the buildings of where people slept, some weren't even open to the public due to health and safetly regulations. The Nazis would lock up the prisoners at night forcing them to use the floors of their shared bedrooms as their bathroom. There were faux bathrooms which were never hooked up in the buildings so when health people would come by to look at the camp, they say that the prisoners were "given the appropriate facilities" to use. Upon arriving to each concentration camp, your fate was determinded on if you looked healthy enough to live and help run the camp. 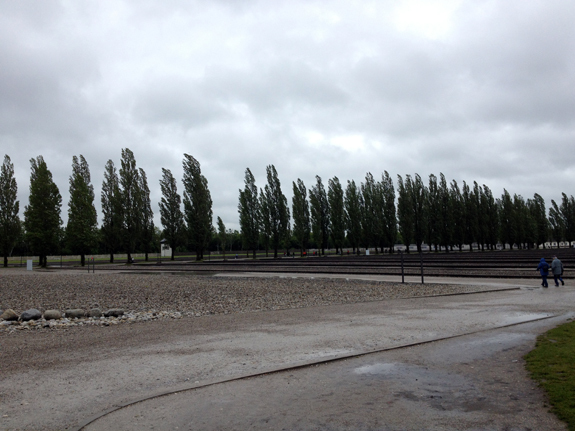 This is where people were divided into two lines - the ones who went into the gas chamber and the ones who didnt. The common question was "how did the people not know that they were going into a gas chamber?" Before arriving to each camp, you were shaved and stripped down then sent to the showers to be sterilized. Hygiene was so important in these places. The Nazis disguised the gas chambers as showers so when the prisoners entered, they didn't suspect anything. These rooms were so compact with people that when they died, they were still standing. After this, they were thrown into fire pits and burned. Below is a gas chamber with faux showers. Walking through the gas chamber was a feeling I can hardly explain - it was a mixture being nautious, sad, confused and I had a million questions running through my mind. I caught glimpses of what it was like to be there over 50 years ago. Never again. Below is the room which held dozens of prisoners and by todays health and safety code was not safe for us to go into. Below are outlines of gravel and cement of where the building stood which housed the prisoners. Much more happened at this camp and I really do recommend you visiting and discovering more if you visit Munich. 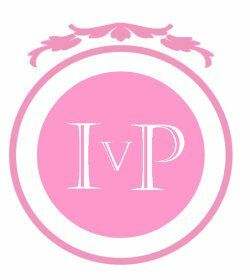 It is an amazing place! You should really go Bryan! Wow! 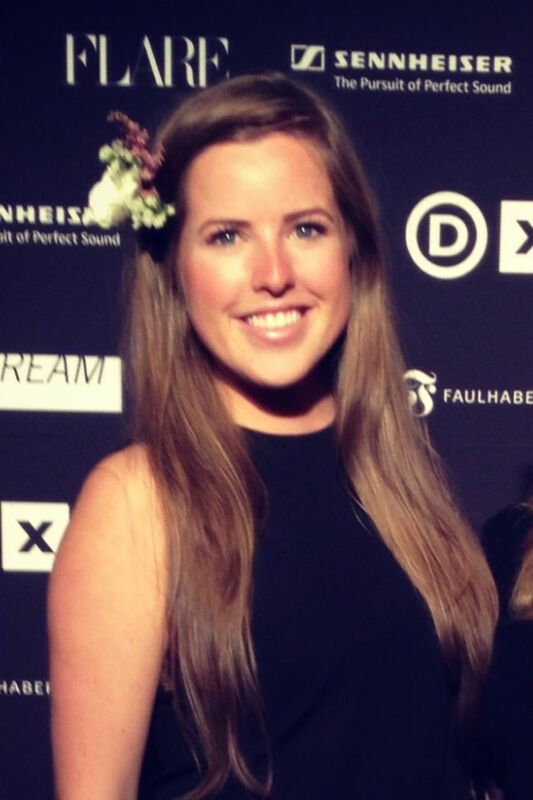 Looks like you had an incredible time Sara!